Foodies in the Czech Republic, 2010-2011: What to do with all of those Bohemian beer caps: make a quilt! What to do with all of those Bohemian beer caps: make a quilt! 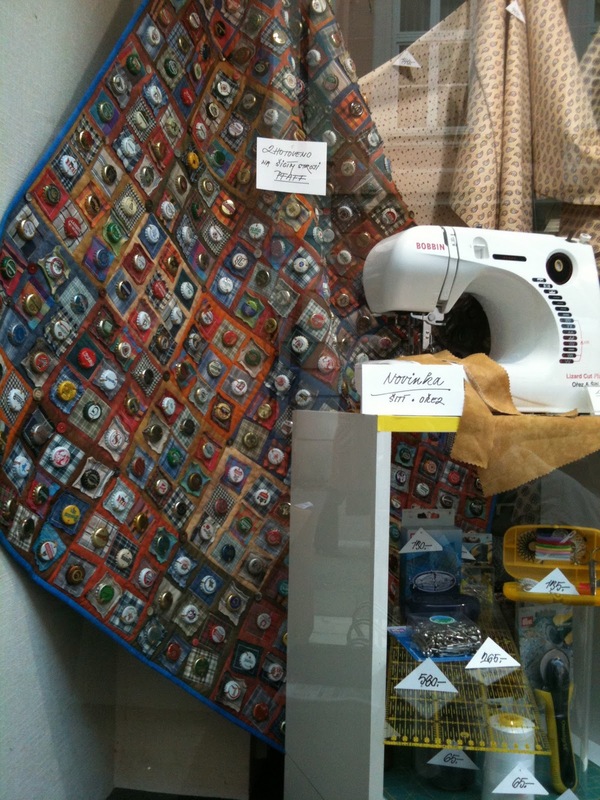 As we were walking around Ceske Budejovice enjoying a lovely October Saturday morning, we discovered a shop window with a unique idea: make a quilt using those beer bottle caps! We posit that any wine lover could make one out of corks as well.